Liberal Zionists tolerate uncritical Israel supporters because they are family. But we shouldn’t be surprised when others don’t. To be sure, I doubt this Spanish BDS group would have much sympathy for anybody who didn’t endorse the three goals of the BDS movement. But that is their right. Had Matisyahu, who has made political statements in the past in favor of Israel, endorsed a Palestinian state, or justice for the Palestinians, he would not have been cancelled, even with the protest of the Spanish BDS group. But an artist who has politicized his work should not be surprised if he is called out on it. The Magnes Zionist: Why Boycotting Matisyahu is Reasonable, Even if You Don’t Agree with It. I’ve read in many places how antisemitic is Spain. Well…. for being antisemitic, we should have some relevant proportion of Jewish comunities living in Spain, such as, let’s say, Gipsies, Moors or Chinese. And one can’t be racist against some race they don’t even learn to identify. 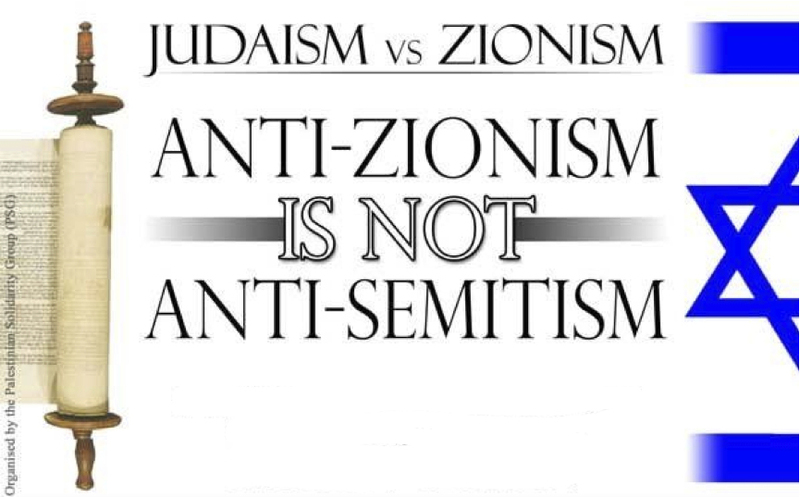 When we, Spaniards, position ourselves against Zionism, we do the same we did against White, Anglo-Saxon, Christian Supremacists in South Africa during the times of the Apartheid. The same many of us do when we criticise Erdogan and the Turks for the way they treat other minorities, and specially Kurds. The same many of us do when we reject fascists, ultranationalists and supremacists of every kind. Israeli Occupation and The growing mistakes of the Seventh Day. “Tragically the majority of Israeli citizens knowingly live in complete denial and deliberate ignorance of what is done in their names on the other side of the Green Line. An Israeli society that became desensitized towards the Palestinians, became also insensitive to injustices within its own society, allowing racism, poverty and violence to spread. Undeniably, there is a direct correlation to the Israeli behavior in the occupied territories and the deterioration of values within the Israeli society. 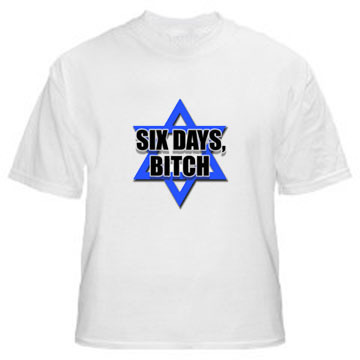 Six days that changed Israel forever – Al Arabiya News. Powerful new documentary recounts what happened on the day after the Six-Day War. It was an early summer’s night. A group of men had gathered in a room inside Kibbutz Geva. Outside, the Jezreel Valley was quiet. The men sat indoors, confused and hesitant. Only 10 days had passed since the end of the Six-Day War they had fought in, and the impact of what they had witnessed had refused to leave them. It actually provided the impetus for their gathering. When the initial excitement died down, a young literature teacher who would become one of Israel’s leading authors opened the discussion. Oz’s words can be heard in the documentary “Censored Voices,” directed by Mor Loushy. It has been playing since Thursday in cinemas and will be aired this summer on Yes TV’s Docu channel, which helped finance the production. What lends this documentary its unsettling effect for Israeli viewers, particularly ones from a certain generation, is that it acts as a reality-changing time capsule, one that no one has disturbed for 48 years since the original audio recordings were made. This selection of testimonies has a power that can shatter truths at the very heart of the State of Israel. The original “Siach Lochamim” (“The Seventh Day”) was a collection of testimonies compiled by Avraham Shapira, a historian and editor who had been a pupil of Martin Buber and Gershom Shalom. Assisting in the compilation were Amos Oz, David Alon, Amram Hayisraeli, Yariv Ben-Aharon, Abba Kovner and others, all of them kibbutz members from across the country. As Oz explained, it was born out of the sense of oppressiveness with which so many of them had returned, which stood in such stark contrast to the sense of elation felt by most of the public. “There was a tense emotional polarity across the whole country,” Shapira remembers in the documentary. A few days after the war ended, Shapira and Oz were summoned to the Kibbutz Movement’s headquarters in Tel Aviv. The purpose of the meeting was to produce a commemorative booklet in honor of fallen soldiers. A few days later, Oz told Shapira he was going to meet some friends in Geva. This tentative meeting was the first in a series of meetings and unplanned nightly discussions, without any schedule, timetable or agenda. As the conversations unfolded, initial hesitation was replaced by gut-wrenching confessions about war and its costs, about the corrupting effects of violence, and about what happened to Israel after what started out as an act of self-defense. Some 200 hours were recorded, but when the editors got ready to publish the recorded material, the censors stepped in. Seventy percent of the material submitted to them was stored in the archives, so as not to tarnish Israel’s image. Three months after the war ended, the collection of conversations was published. “The Seventh Day” was a 286-page book, comprised mainly of reflections and soul-searching by agonized young men encountering violence and death; testimonies of harsh confrontations with enemy soldiers and civilians; and comments that would be considered heresy nowadays. These included questioning whether the conquest of [East] Jerusalem was really necessary, and whether, in exchange for peace, it [East Jerusalem] should be returned to Jordan. There were no testimonies describing war crimes. Even though this was a softened version, it turned out to be sufficient to make waves. In the sea of victory albums and tales of heroism – and in total contrast to its antithesis, the best-selling book “The Tanks of Tammuz,” by Shabtai Teveth – “The Seventh Day” became a sensation. The book’s print run was 150,000, and it was translated into English, Spanish, Swedish, German, French, Arabic and Yiddish. When it was first published in October 1967, it was intended only as an internal booklet for kibbutz members. But reports of it and quotations from it led to its dissemination among the general public. The book was received in two ways. Its supporters viewed its antiwar character and universal sensitivities to the horrors of war as decisive proof of moral superiority. Discussion about the burden of fighting, recoiling from violence and the oppression of victory – all were perceived as yet another justification for being victorious. However, most people saw it as something completely different. Among all the victory albums, the adoration of the military, of holy places and of liberated swaths of land, this book was perceived as a defiant downer. Some people considered the censored and lean testimonies to be sanctimonious, or miserable wailing. The book even got the derogatory moniker “Shooting and Crying,” while some people described it as an apology for winning the war. The subversive, competing narrative of the book was ridiculed, and the winners were also victorious in the underlying battle over national memory and the country’s history books. Over the decades, the book slowly receded from memory, along with its voices – both the ones heard and the ones censored. Some tapes were kept by Shapira, but most were deposited in Yad Tabenkin, the Kibbutz Movement’s research and documentation center. Even though prominent journalists and media figures urged him to release his audio tapes over the years, Shapira refused to do so. Loushy, 33, lives with her production partner, Daniel Sivan (he also edited the film). This is her second film, after “Israel Ltd.,” which followed young Jewish people on their trips to Israel financed by the Jewish Agency. She has already started work on her next film, “The Oslo Diaries.” It will deal with the secret channel of talks between Israel and the Palestinians in the 1990s, viewed through the private diaries of diplomats and other central figures. The long hours involved in making “Censored Voices” began in Loushy and Sivan’s apartment. She listened to and transcribed 200 hours of recordings. She admits to being greatly affected by the conversations and getting sucked in, as if she were reliving that period herself. This impacted the way she constructed “Censored Voices.” It doesn’t deal with “The Seventh Day” itself, and there are no talking heads, intellectual analyses, historians or experts. Instead, there are recordings from the original audio tapes, accompanied by archival photos or, in some cases, the faces of the speakers listening to themselves, nearly 50 years on. The confusion and enthusiasm are replaced by grave, mature faces, sporting shocked expressions. Rafael Eitan (right) in Rafah. June, 1967. Michal Han, GPO. It’s impossible not to reflect on this moral discourse. There seems to be a clear line stretching between the shock felt by the soldiers of 1967, testifying about war crimes that they or others committed, and Israel in 2015, including its social and political situation. The movie serves as a clear invitation to renew the debate about moral issues. That’s why it seems that, just like the original book, the new documentary also faces being rebuffed. It’s reasonable to assume that criticism will soon be brought against the testimonies that link some of Israel’s wartime actions with the Holocaust. “There is no comparison between war crimes and the Holocaust in this movie,” says Loushy. “The Holocaust is mentioned twice: once by Menahem Shalem, who was a child refugee himself. He, as a soldier, looks at refugees and remembers his experiences as a child. Another instance was very similar – these are very personal testimonies. Amos Oz, from “Censored Voices” film about Six-Day War. Avner Shahaf. Did you already sense the consequences of the war back in 1967? Reflecting on the atmosphere in Israel after the 1967 war, Oz says, “The sense of relief was understandable, and I shared it. We thought we were facing annihilation. We were still under the shadow of the 1948 War of Independence, and many of us remembered living through it as children. We remembered siege, hunger, shelling, living in shelters, numerous casualties, terrible losses, prolonged suffering. No one thought this war would be so short. People were shocked when it ended after six days. It’s no wonder that a whole nation became euphoric – especially one that for thousands of years experienced force only as inflicted on its whipped backs. It’s probably natural that a people such as this gets a bit drunk with its physical prowess. But my friends and I saw the other side of the coin as well. What did you feel when the collection of stories was distributed across the country? In retrospect, are you pleased with that heritage? The ‘seventh day’: Censored voices from the 1967 war – Diplomacy and Defense – – Haaretz Daily Newspaper | Israel News. Once again, I copied/pasted a Haaretz article… for you to read, if you don’t have premium access. I know that it’s not exactly legal nor nicely presented, but still, as usual… it’s a worthy read, and the message must be spread. I must find that docu. Yes, I must. Why is Israel respecting IS and AlQaeda so openly? (…) an Israeli army spokesperson had now confirmed these reports. He clarified that this extended to logistical support in the form of medical aid to al-Qaeda rebels. “We don’t ask who they are, we don’t do any screening,” the unnamed Israeli military official told the Wall Street Journal. “Once the treatment is done, we take them back to the border [sic – ceasefire line] and they go on their way [in Syria],” he said. For several years now there have been propaganda reports in the Israeli press about how Israel is supposedly playing a purely “humanitarian” role in the Syrian war, by treating civilians and sending them back. But this has now been exposed as propaganda. If that were really the case, Israel would be treating combatants from all sides in the Syrian war and furthermore it would arrest suspected al-Qaeda militants. 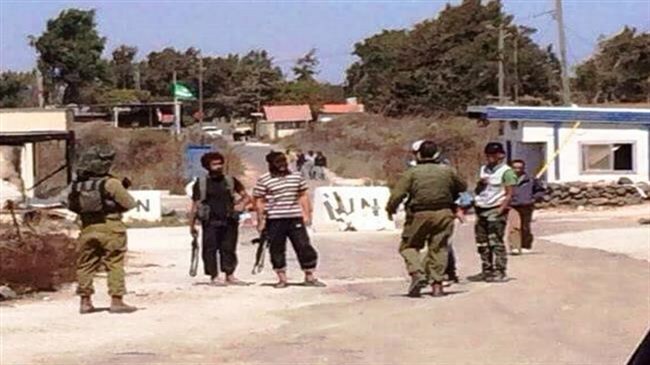 But in reality, all reports confirm that the Israelis are treating only the “rebel” side, including the al-Qaeda militants that lead the armed opposition in that area of Syria (as indeed they do in much of the country). The key difference that disproves the propaganda line, and proves an active Israel-al-Qaeda alliance is that, after treatment, instead of arresting them, the al-Qaeda fighters are sent back to fight in Syria. There is no chance at all that, in the event that Israel captures injured Hamas, Hizballah or Iranian combatants alive, it would send them back to Gaza or Syria to “go on their way”, as the unnamed Israeli official put it. After all, Israeli forces in that area have, during the course of the war, made several air-strikes on what they claimed were Hizballah targets in Syria. If Israel were genuinely opposed to al-Qaeda, it would hit their positions too. But it seems that Israel prefers al-Qaeda over Hizballah and Iran. In April, I reported how Israel had started to cover up its alliance with al-Qaeda. It seems that the propaganda line about their humanitarianism had not been bought by many, so they took measures to stop too much being revealed. Sedqi al-Maqet, a pro-government Syrian activist from the Israeli-occupied Golan Heights, was arrested, with a military gag-order initially banning the Israeli press from reporting the case. Al-Maqet had used his residence in the Golan to report from his Facebook account in Arabic about contacts he said he had witnessed between Israeli armed forces and what he termed terrorists active in the Syrian-controlled sector of the Golan. One of these videos, aired on Syrian state TV, was used to charging him with “spying”. The second new confirmation came from the Israeli press in the form of Ron Ben Yishai, an Israeli war reporter for Yediot Ahronot, a popular Israeli tabloid. The report, which included video (vetted by the Israeli military) of a hospitalised Syrian rebel (possibly an al-Qaeda militant) with a obscured face, mostly took the usual propaganda line, singing the praises of the wonderful morality of the glorious Israeli army. In the video, Lieutenant Colonel Dr. Itzik Malka claims of the 1,600 wounded he said have arrived in Israel from Syria, “the majority are women, children and elderly people” (my emphasis). That’s another implicit acknowledgement that Israel is treating wounded militants from Syria (the majority of whom in that area are al-Qaeda). And Ben Yishai himself in the article accompanying the footage states that “wounded Syrians have been arriving almost daily to the security fence, seeking medical help. It is likely that most if not all of these nationals are rebels from the rival jihadist Islamic State and al-Nusra Front groups”. Why is the media ignoring Israel’s alliance with al-Qaeda?. Beware, it’s a long and extensive report. But it’s worthy. After all, both IS and AQ work well in supporting the Israeli Govt. rethoric “we are a haven of democracy and civilization surrounded everywhere by subhuman barbaric Arabs who can’t even agree in who may massacre us and how”… They seem to ignore that Syria was a peaceful neighbor for decades and also that Hizbullah had stayed far from creating mess since years ago. They also seem to prefer to ignore that AQ and IS are both enemies of Hamas and Fatah, and have been in conflict in recent times. Is it that they prefer to ignore it or…?Honestly, I use to run from conspiranoic theories but… Facts seem too clear. Too much to be easily denied. Haneen Zoabi is right. Mosques must be under scrutiny. Everywhere… and it’s Muslims themselves who must do the task. For Zoabi this is an issue close to her heart; it stokes the fire in her belly. She posted a status on Facebook in which she asked who are those “barbarians” who are terrorizing the lives of residents with their violence and their weapons. Zoabi wrote of social terrorism against women, and women’s freedom of movement, expression and conduct. Ostensibly, her comments were both just and on point — the phenomenon of Arab towns being ruled by a handful of armed violent criminals is a painful affliction in our community. Just yesterday a resident of Jaljulya was murdered by gunfire. Last week a school principal was shot and severely wounded in Kuseife. But Zoabi’s post went on to analyze the situation of religious coercion and incitement against both women and men who offer a different voice. And more significantly — Zoabi hinted at a link between clerics and extremists who seek control through violence and firearms. She added a clause in which she demanded that all the political movements, including the Islamic Movement must enhance their “social control” of clerics and imams in Arab towns and villages. They need to supervise what is said in the said in mosques on Fridays. “There are some people who think it is their own fiefdom,” wrote Zoabi. Naturally, this statement angered many people who mobilized to defend Islam, the clerics and the Islamic Movement, whose members had condemned the shooting of the women’s marathon organizer and, alongside all the Joint List Knesset members, supported her. From here on, the lively discussion very quickly became stormy and heated. Serious accusations of incitement, slander and “disturbing the peace” were hurled at Zoabi. This was the trigger for Photoshop wizards who rushed to fabricate shocking images of the MK. In one of them, Zoabi’s shaved head was superimposed on an orange-clad man’s body, next to whom there was a black-draped ISIS fighter! (Does that methodology remind us of anything?). This picture repulsed me, sending shivers up my spine in a way that I had never felt before; I felt as if the horrors of Islamic State are closer to me than ever before. Look at just how far the extreme right’s campaign of fear and incitement has permeated our community. 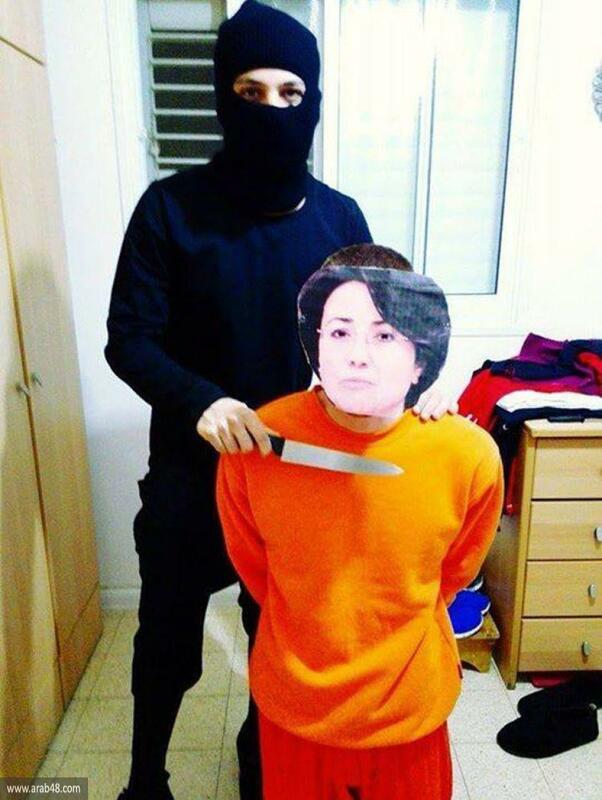 For these were the same images used by the extreme right in its campaign to anoint Zoabi as the enemy of the people. And, of course, the sight of ISIS’ crimes, which are all over the Internet, govern our consciousness, crossing all boundaries or red lines of morality and law — of what is legitimate and what is permissible within the limits of freedom of expression. This time Haneen Zoabi went too far | +972 Magazine. This is what happens when you prevent those among Palestinians who follow the rules to reach any right, legal solution. You simply tell their people that they are not the ones to follow. They lose respect for them. And they look toward those who are succeeding everywhere. Not a game I’d like to play, to be honest. It’s simply too stupid, even for someone who awaits the Armageddon. Listen Israel! 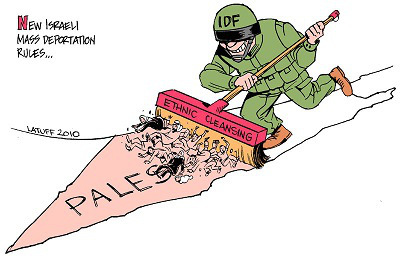 … May 15th is also Nakba day! How nice it would be if Israel would allow its minority citizens to commune with their misfortune and at least respect their pain. The State of Israel should be bowing its head tomorrow. It should be bowing its head out of solidarity and empathy for the pain of a fifth of its citizens and to take responsibility for their tragedy; to bow its head in apology for what happened. Tomorrow, May 15 – the date of the declaration of the State of Israel – is Nakba Day, the anniversary of the Palestinian people’s catastrophe; a day to commemorate its fallen, its lost villages and land. One needn’t be a Palestinian to identify with their pain; you can be an Israeli Jew, or even a Zionist, and respect those for whom your Independence Day marks their tragedy. Nor is there any need to accept the Palestinian historical narrative in order to recognize that the native people suffered a terrible calamity. One can respect the other’s pain, about which there is no historical doubt, and, if we want to be honest and brave, one can also ask if the State of Israel has ever atoned for what it did, whether deliberately or accidentally, with forethought or lacking choice, in 1948. Has it ever abandoned the policy that caused the Nakba? Isn’t it the same policy of dispossession, occupation, oppression, destruction, and expulsion that continues to this day, 67 years after 1948, and 48 years after 1967? Nakba Day ought to be a national commemoration, even if it involves a minority, the same way Mimouna, the Saharna, and Sigd (an official holiday by law) are marked, even though they are the traditions of minority groups. There should be sirens and memorial services in the state’s Arab communities and special television broadcasts for everyone. Of course this sounds delirious, during a tour that foreign ambassadors took of Army Radio this week, a western diplomat asked in all innocence if the popular station broadcasts Arabic music. Her hosts thought she was rather out of it. Anyone who even thinks that the State of Israel should be marking Nakba Day is also out of it; worse, he’s a traitor. But the truth is that there is no greater proof of Israel’s insecurity about the justness of its cause than the battle waged to forbid marking the Nakba. A people confident in its path would respect the feelings of the minority, and not try to trample on its heritage and memories. A people that knows something terrible is burning under its feet sees every reference to what happened as an existential threat. Israel started to battle the Nakba immediately after it occurred; it did not allow the refugees to return to their homes and lands and confiscated their abandoned property. It destroyed nearly all of their 418 villages out of foresight, covered them with trees planted by the Jewish National Fund and prevented any mention of their existence. The primitive concept was that one could erase the memory of a people with trees and suppress its pain and consciousness with laws and force. This country of monuments forbade any monument to their tragedy. This country of commemoration days and wallowing in grief forbade them to mourn. 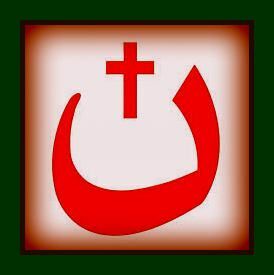 Every Arab carrying a rusty key is considered an enemy; any sign marking a destroyed village is an abomination. Not only is there no justice in this, there’s no benefit in it, either. The more Israel tries to repress the memory, the stronger it gets. The Soviet Union tried to do this to its Jews and other minorities and failed. The third and fourth generations after the Nakba remember and are bolder than their elders. Forbidden summer camps have been held on the ruins of some of the villages; there is no great-grandchild that doesn’t know where his ancestors lived. A concealed wound will never scab. How nice it would be if Israel took some token steps. How nice it would be if an Israeli Willy Brandt would get on bended knee, take responsibility and ask for forgiveness, and if the country would be covered with commemorative signs for what was and is no more. How nice it would be if Israel would allow its minority citizens to commune tomorrow with their misfortune – one of history’s largest, ongoing national tragedies – and at least respect their pain. The more Israel represses the Nakba, the stronger the memories– Opinion – Israel News | Haaretz. Why Israel does not help palestinians in Yarmouk? From afar, it’s hard to recognize them. They are swaying human shadows, staring out into space, faces gaunt and their bones protruding from the skin that’s meant to cover them. But if you look at them closely, you’ll see who they are: They are the children and grandchildren of those who were expelled in 1948 (or who fled, or migrated – choose whatever word salves your conscience). You can claim that you are not involved; after all, the decapitating sword is not your sword, and the hand that besieges and starves them is not your hand. All you (and your parents) did was lead them and their parents respectfully to the jungle, and then you turned on your heels to enjoy the villa and get drunk on the fragrance of the orchard and vineyard. But what did Abd el-Hadi do to you (from the Arabic poem by Taha Muhammad Ali, “Abd el-Hadi Fights a Superpower”)? Since his expulsion from his Garden of Eden a curse pursues him, generation after generation. This Abd el-Hadi, “In his life, he neither wrote nor read/In his life he didn’t cut down a single tree/Didn’t slit the throat of a single cow/ In his life he did not speak of The New York Times/Behind its back/Or raise his voice to a soul/Except in saying ‘come in please, by God, you can’t refuse!’” (English by Peter Cole). Meanwhile, in the northern part of the jungle, the forces of Syrian President Bashar Assad (the lion) are besieging the Yarmouk refugee camp and preventing the distribution of food, drugs and basic items. To the question of why the siege – after all, the camp didn’t rebel against Assad – there is no answer. Nor is there an answer as to why the Islamic State is butchering the camp’s residents. And when logic evaporates, all paths lead to more and more atrocities, until one reaches “the deepest circle of hell,” as UN Secretary General Ban Ki-moon put it. Ban is apparently a bit too optimistic, because the Arab hell has an infinite number of steps en route to the lowest rung. Meanwhile, no moral question is being raised regarding Israel’s role in creating the killing fields there. On the contrary, one literary knight has established that the world is divided between the Jews and the Jew-haters, so perhaps now is the time to ascertain whether those human shadows lined up for slaughter at Yarmouk are Jew-haters. If so, then they’re apparently getting what they deserve. But among Jews there are many who think differently. Amos Oz’s unsettling book, “The Gospel According to Judas,” is likely to arouse many thoughts in the reader. In my view, the book’s central question is: Was there no other way aside from the brute force of David Ben-Gurion? Was there no other way to establish a state for one people without destroying the present and future of another people? History, as we know, can’t be changed, but examining historical events is crucial to changing how we relate to the past. And if we succeed in creating hypothetical options for events of the past, perhaps we can change the future. Given the horrific tragedy of the Yarmouk refugee camp, it is time for Israel to think differently about the Palestinian people, some of which is part and parcel of this country and its future. 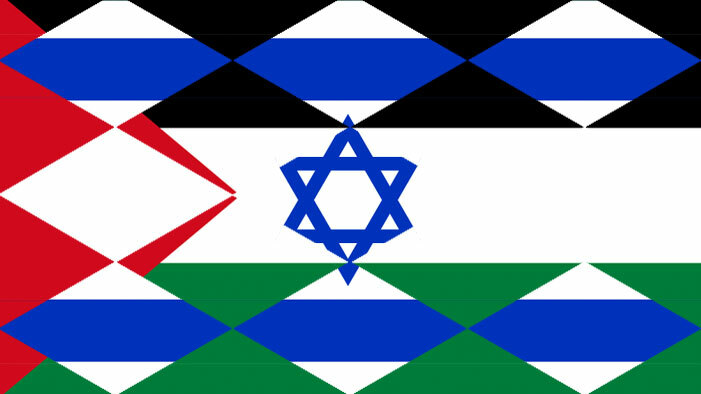 Is it not time to whiten the black image of the Zionist movement a bit among Palestinians, as a refreshing start to forging a relationship between the two peoples? Why doesn’t Israel coordinate with Palestinian Authority President Mahmoud Abbas and the Israeli Arab leadership to absorb Yarmouk refugees in the PA-controlled territories and among Israeli Arabs, as was suggested in the Haaretz editorial on Thursday (“Help Yarmouk’s refugees,” April 9)? Instead of running to the end of the world to show the beautiful face of Israel, extend a hand to your neighbor. Learn something from Jordan, a country that has no moral or political obligation to Syria yet has already absorbed more than a million refugees from there. For once in your life, do something that you can relate proudly to your grandchildren. Let them say with pride that in Yarmouk, the process of reconciliation with our cousins began. Why doesn’t Israel help Palestinians in Yarmouk? – Opinion – Israel News | Haaretz.